When 2020 comes, Russia will have a new weapon added to its war arsenal. 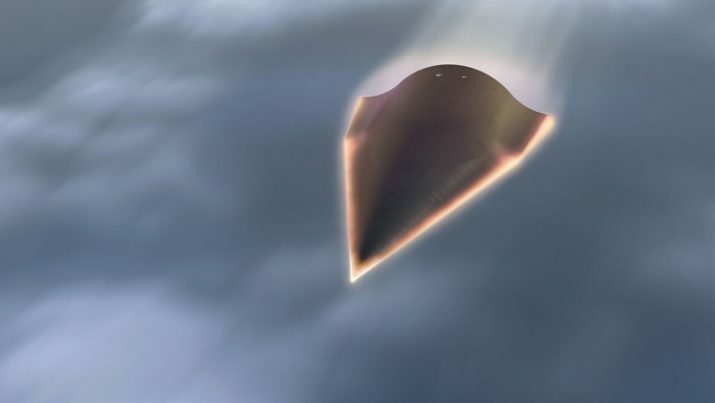 In a CNBC article, the “hypersonic glide device” is described by sources to be unstoppable by current U.S. defenses. Claiming direct access to American intelligence reports, the anonymous sources say the weapon has already undergone two successful tests in 2016. The third test took place in 2017; although deemed a failure, the glide vehicle was mere seconds away from hitting its target before it crashed. A fourth test is expected this 2018. The hypersonic glide vehicle will be launched into the upper atmosphere by a Russian intercontinental ballistic missile. Once there, it will glide at very high altitudes and blistering speeds. Even without a warhead, Avangard can cause massive devastation. It is reported to be very precise, and its great speed will give it more than enough force to destroy anything it hits. The product of more than 30 years of Russian research, a hypersonic glide vehicle can travel at five times the speed of sound or more. It is designed to take advantage of openings in the missile defense systems of a country like the U.S. The CNBC sources say Avangard cannot be intercepted by top-of-the-line defense systems. Its combination of high speed, maneuverability, and onboard countermeasures makes the vehicle very difficult to spot, much less shoot down. During his March 2018 state-of-the-nation address, Putin bragged about Russia’s “invincible” hypersonic nuclear weapons. He said Avangard can travel at 20 times the speed of sound and was already in serial production. “I want to tell all those who have fueled the arms race over the last 15 years, sought to win unilateral advantages over Russia, introduced unlawful sanctions aimed to contain our country’s development: You have failed to contain Russia,” bragged Putin. Also in March 2018, the commander of the American nuclear arsenal said that the U.S. military does not have the capability to stop a hypersonic weapon. “We don’t have any defense that could deny the employment of such a weapon against us,” said Air Force Gen. John Hyten, who commands U.S. Strategic Command, during a meeting with the Senate Armed Services Committee. Hyten believes Russia is the biggest threat to the U.S. He stressed the need for a new type of nuclear weapon to America’s own arsenal. The Pentagon has requested a new nuclear warhead with a smaller yield that could be used against targets smaller than cities. The smaller nuke will be launched by ballistic missiles aboard American submarines. For now, the U.S. does not have any effective means of defending against hypersonic attacks. The U.S. Department of Defense has asked for $686 billion to find ways to counter the new Chinese and Russian weapons. President Donald Trump called the defense-heavy spending bill a matter of national security. It gives $11.5 billion to missile defense, the biggest amount ever given to the Missile Defense Agency. Yet that may not be enough to shield the U.S. against hypersonic attacks. Keep track of Russia’s increasingly terrifying weaponry at WeaponsTechnology.news.